Carol Barbknecht, 69, of Battle Lake, died Wednesday, April 3, 2019, in her home under the care of Hospice. Carol Marie Barbknecht was born on August 11, 1949, in Browns Valley, Minnesota the daughter of Raymond Edward and Patricia Kathleen (Allen) Gettman. Carol grew up working and playing in her grandfather's and father's grocery store. 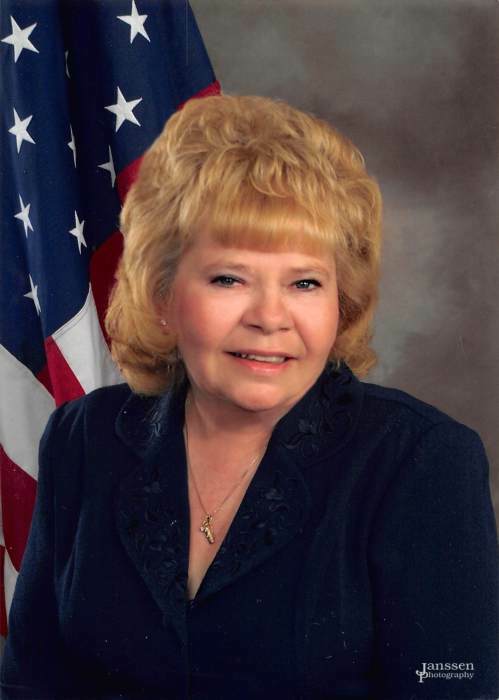 She graduated from Browns Valley High School in 1967; she attended Moorhead Technical School, and later furthered her education by taking classes with Moorhead State University and the University of Minnesota Morris. Carol Gettman and William C. Barbknecht were married on June 20, 1970, in Bellflower, California. They began life in Richfield Minnesota, spent five years in Browns Valley, MN. and twelve years in Barnesville, Minnesota. In Barnesville, Carol was employed with American Life and Casualty Insurance Co. functioning as an investment accountant. The next thirty years were spent in the Underwood/Battle Lake community and for twenty-eight of those years; she operated Carol Barbknecht Accounting Services. After selling her business she worked for Carlson Accounting until she retired in 2017. Carol enjoyed golf and started and co-chaired the Cancer Golf Tournament at Balmoral Golf Course near Battle Lake. The tournament raised $8,000 - $14,000 a year for local cancer center patients. She loved helping veterans and was a loyal member of the American Legion Auxiliary. In 2008-2009 she was the State President of American Legion Auxiliary and raised $25,000 to help furnish the Fergus Falls Veterans Memorial Chapel. Carol was on the National American Legion Audit committee and was in her tenth year of service with the State American Legion Finance Committee. She also served as the treasurer for Economic Development Corporation in Underwood, MN. Bowling was another hobby she enjoyed and for twenty-five years she bowled with the ladies league at the Shoreline in Battle Lake. She enjoyed spending time with her family and grandchildren, traveling whenever possible to visit them. Her children called often and she was always there to listen or give advice about cooking, taxes, finances and raising kids. She is survived her by husband Bill; two children, Trish (Jess) Machuca of Las Vegas, Nevada and Jason (Sandi) Barbknecht of Ft. Wayne, Indiana; five grandchildren and one great-grandson, Christopher Barbknecht, Katie (Joey) (Nicholas) Adlerete, Cat Machuca, Noah Barbknecht and Faith Machuca; sister, Kathy (Orrin) Anderson of Milbank, SD; brother, Ron (Judy) Gettman of Browns Valley, MN; step-sister, Jacqulyn Mellendorf of Clear Lake, SD; two step-brothers, Karl (Patty) Wolk of Richland, WA and Kurt (Tammie) Wolk of Onalaska, WI; and by numerous nieces, nephews, relatives and friends.